Put more money in your bank with this pig shaped postcard. Ideal for money saving copy. Can be personalized on both sides to get even more attention. 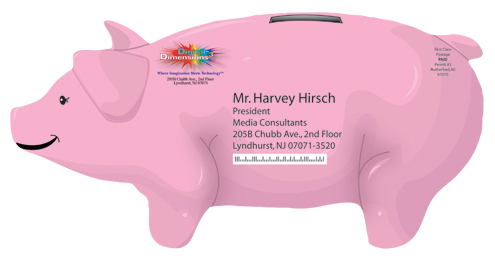 We can remove the slot so the recipient can go �Hog Wild� with your offer.